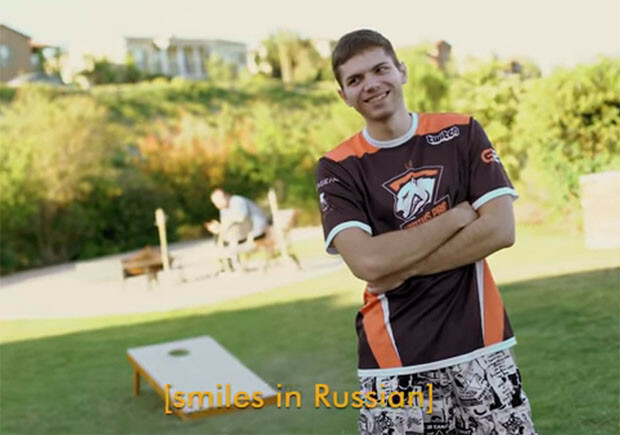 The "Virtus Pro Challenge" was a joy to watch at the Summit 7 as captain Solo led his team to glory using almost every single hero in the game. gave Dark Seer, Death Prophet, Sven and Warlock a second chance. BTS even made a special graphic during the pick phase in tribute to their efforts and nicknamed it the "Virtus Pro Challenge". By the time they reached the Grand Finals there were only 44 heroes left for them to choose from but that did not stop VP from winning it 3-2 against Team Secret. After talk of a declining scene spawning in the middle of the tournament, VP's ability to win a tournament through the use of 80 different heroes in just 17 games is proof there is definitely still life in the game, and along with the brilliant video content producted by BTS, was a much needed positive boost after what has been a fairly sombre week. During the Grand Finals PPD suggested that due to the patch the game is more about individual skill and less about teamwork than in the past, which the couch agreed makes VP an even deadlier force. VP appeared already assured of a direct invite for their 2nd place at the Kiev Major but 1st place at the Summit 7 last night silenced any doubters, and Valve named them as one of the six direct invites to TI7 just hours after the tournament concluded. I'll leave with you BTS' "Sort of True Sight", which poked fun at VP's portrayal in the Valve mini-doc True Sight last month.